On Feb. 2, production got underway on El Monterey bean and cheese burritos – one of seven flavors from the family-owned company’s original multi-pack line. Once the second line of production hits its stride, Ruiz Foods Florence will add 60 team members, bringing the local workforce up to 225, Cullen said in the release. 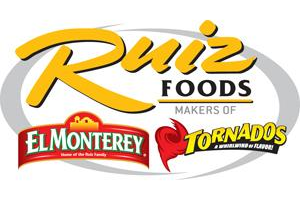 Based in Dinuba, California, Ruiz Foods took over the former H.J. Heinz facility a little more than a year ago with plans to transform it into an East Coast distribution center as part of a $60 million investment. Construction of a large freezer distribution center brought the total square footage to 225,000 of the site inside Pee Dee Touchstone Energy City industrial park. A full scale renovation took place before production ramped up as the building was taken down to a shell and many energy efficient measures were put in place. Daryl Davids, the senior human resources manager at the Florence facility, said everything is moving along at a steady clip. “We’re doing very well, the workers are proud of the products they’re making and focused completely on food safety and people safety,” he said. Several milestones have been hit as far as production numbers go, and products made here in Florence are reaching local grocery stores, he said. “And we’re very proud of that,” he said. A 50,000 square-foot new freezer distribution center has been an excellent addition to the facility, he said. “Our business overall is just fantastic and sales are fantastic,” he said. Kim Ruiz Beck gave an inspiring speech to workers during a recent visit, he said, and he looks forward to Ruiz family members and company officials visiting Florence in May. Cullen said in the release that community celebrations are scheduled for May and will feature some traditional facets of the culture of Mexico. Having Ruiz Foods in Florence has helped Joe W. King do his job more effectively. King, the executive director of the Florence County Economic Development Partnership, said he’s recently taken companies being recruited to visit Ruiz Foods. If another food distributor is considering locating here, they often have questions for like-minded businesses. “We always use our existing industries. They’re great ambassadors in helping us market Florence,” he said.